This page is a subscription service available only to members of the CHC in good standing. The CHC makes no warranty or guarantee regarding the listed breeders or puppies from the listed breeders. 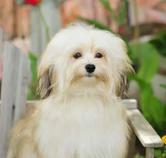 Prospective Havanese owners should do considerable research and be prepared to ask the breeder about a sales contract, guarantees, and health testing. 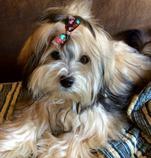 For more information go to the Buyers' Education page of our parent club, the Havanese Club of America.